Being inducted into the Hall of Fame is the highest honor that can be bestowed within the Oklahoma Horseshoe Pitchers Association. It can only be achieved by those members who continually exhibit the highest levels of performance or services to the OHPA. There are three ways for an individual to become qualified for consideration as a Hall of Fame member. All three systems will be based on pre-established, objective measurements and accomplishments (point system) to free the membership from personal bias, politics, religion and racial differences. More detailed information on the point system can be found in the OHPA ﻿Bylaws﻿. 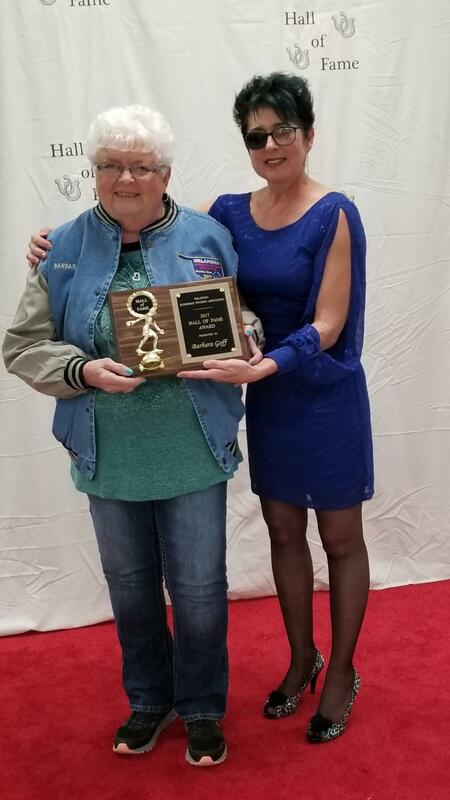 Barbara Goff of Woodward is the 2017 inductee into the Oklahoma Horseshoe Pitchers Hall of Fame. Based on pitching achievements and many years of dedicated service to the association on a charter level, her nomination is in the "Pitching and Promotion" category.